ITV2 smash hit TV show, The Big Reunion has made for absolutely compelling viewing. It has been an extraordinarily engrossing runaway rollercoaster ride watching as the bands reunite and has been hilariously funny, extremely uncomfortable and deeply emotional at times seeing the groups prepare to re-enter the fickle world of pop once more. 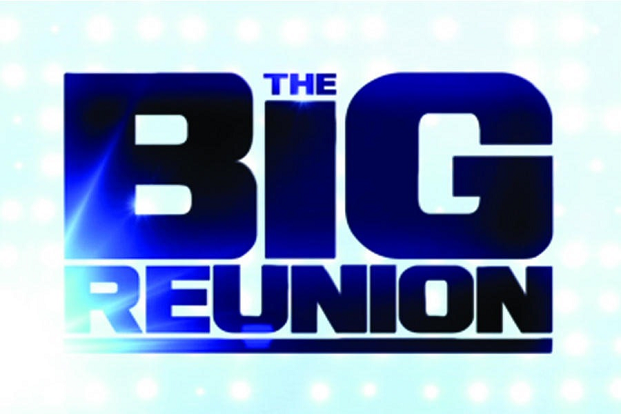 The success of the show has steamrolled and culminates with a ninety minute special that airs on ITV2 at 9pm on 28th March – the extended show features backstage footage and live on-stage performances of the bands as they play the Hammersmith Apollo as part of the initial one-off Big Reunion live concert, which was held in February. A DVD of the full concert is to be released from 1st April. Such was the demand for tickets to the one-off show, an arena tour was then announced and will take place across the country throughout May. With most dates close to selling out, fear not – today, comes the announcement of ‘The Big Reunion Christmas Party Arena Tour’. The six bands 911, Honeyz, Five, Atomic Kitten, Liberty X and B*Witched will play shows to celebrate the festive season. Tickets are available from Friday at 9am from Ticketmaster with more information here. Pre-sale opportunities available from Thursday.